Zhenzhi “Jane” Xia in Salzburg with a replica of a Goujon 1753 spinet. 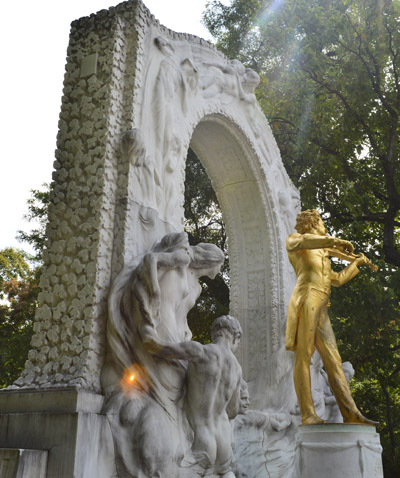 Below left, the Strauss statue in Vienna. Sept. 12, 2015: If you’re passionate about optics and classical music, there’s no better place to spend the summer than Germany. 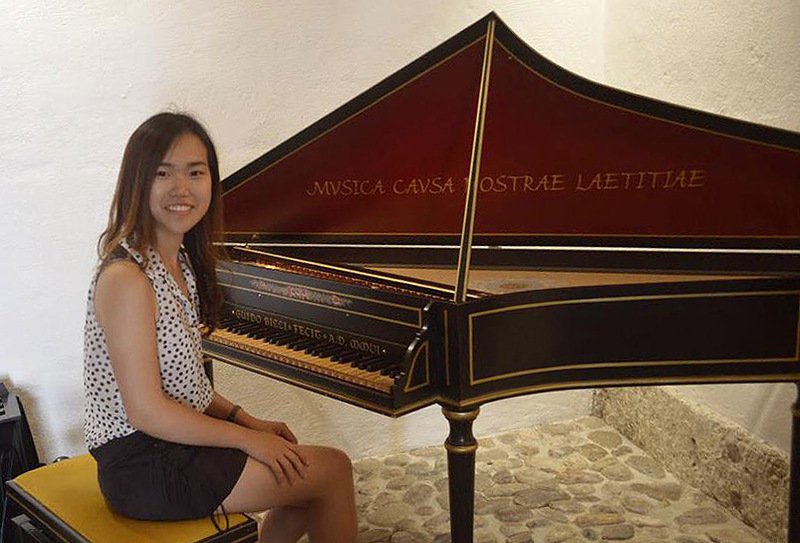 Just ask Zhenzhi “Jane” Xia ’16, a double major in optical engineering and piano performance who spent this past summer as a DAAD-Rise scholar at the Institute of Photonic Technology at the Friedrich Alexander Universität Erlangen Nürnberg. RISE Germany is a summer internship program for undergraduate students from the United States, Canada and the UK in the fields of biology, chemistry, physics, earth sciences and engineering. 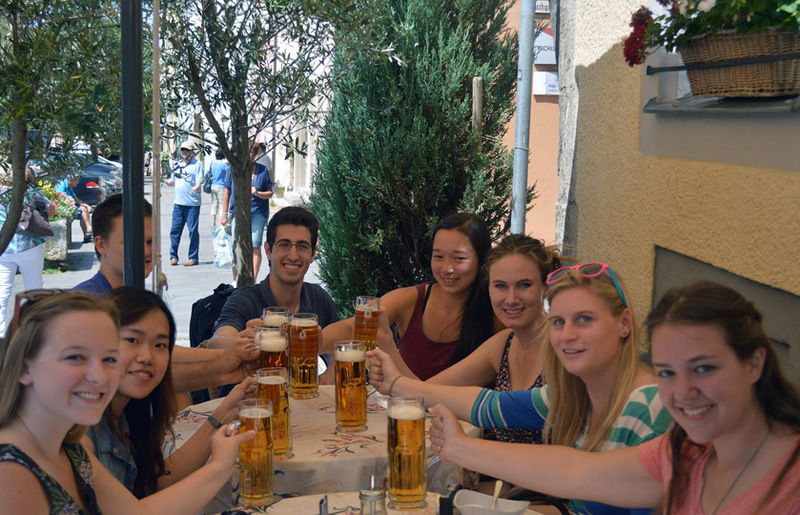 Students work with research groups at universities and top research institutions across Germany for 3 months, matched with doctoral students whom they assist and who serve as their mentors. The working language is English. Stipends and housing are provided. When she wasn’t calibrating the camera, she was on the road. At brunch with other DAAD-Rise scholars in Rothenburg.